None of the novels I have planned are set on sailing ships, but those ships have always fascinated me. They look wonderful, but life on them must have been hard. A few years ago I had a holiday on the Lord Nelson, a modern square-rigged sailing ship, taking part in one leg of the Tall Ships race, from Belfast to Ålesund in Norway. 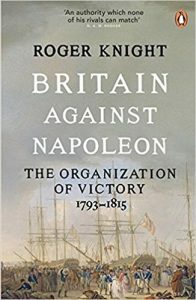 Britain Against Napoleon – The Organization of Victory 1793-1815, by Roger Knight. 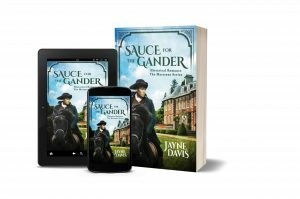 In spite of its main title, the book covers the French Revolutionary War (1793-1802) as well as the Napoleonic War. Britain was at war from 1793 until 1815, with only a couple of intervals. During this time there were changes in the way the army and navy were organised, supplied, and paid for, changes in politics and government, and an increase in production (both manufacturing and agricultural). It was also a period when attempts were made to reduce corruption. 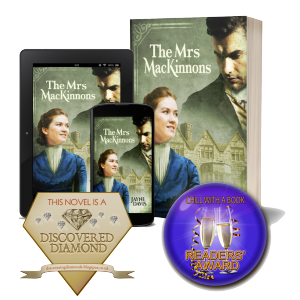 The heroes (and sometimes the villains) in historical romances are often involved in war, whether in the Royal Navy, the army, or as spies. Even if their wartime activities do not appear directly in the story, their military experiences shape their lives and their characters. One group of unsung heroes in the army was the engineers. Engineer officers could not buy their commissions as cavalry and infantry officers did; they were only given commissions after training at the Royal Military Academy at Woolwich, and thereafter promotion was by seniority. As you might expect, engineer officers were essential in sieges, planning where the trenches should be dug and artillery batteries sited, and also in repairing a fortress once it had been taken. Being an engineer in a siege could be as dangerous as being an infantry officer in the battalions attempting to scale the walls. The engineers knew their way through the trenches and where the weakest points in the walls were, and often led the way. The kind of gun you see in western films, where the gunman can quickly load a set of metal cartridges into his handgun, only came into use in around the 1830s. 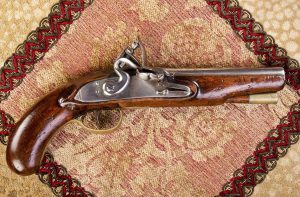 In Regency times, guns were fired using a flintlock mechanism. Our heros (or heroines) would have used a pistol something like this. The stock is the handle and other wooden parts, the barrel is the tube the pistol ball travels down when it is fired, and the ‘lock’ is the firing mechanism. Each part was made by a different craftsman, so ‘lock, stock and barrel’ means having the whole thing, complete with all its parts.